Hi, friends! Welcome to Lesson 1 in "The Armor of God" series. 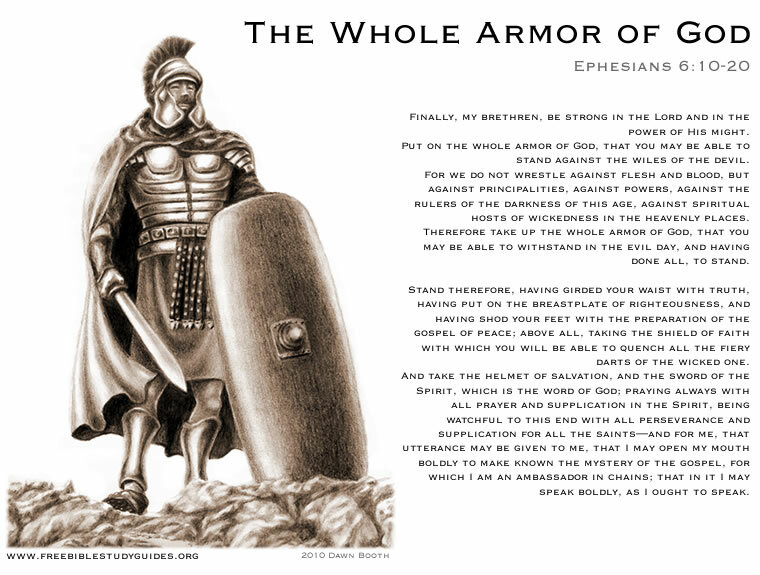 Chances are, you've already heard about this powerful and important set of armor that Paul describes in Ephesians chapter 6. The breastplate of righteousness, the helmet of salvation, the shield of faith—these are terms you might already know. But how much have you looked into them? It turns out that, upon close examination of the function of each piece of armor and the attribute Paul assigns to it, there are some incredible lessons to be learned. Let's check them out. Paul tells us to take up the whole armor of God. But what is this armor, and how do we put it on? Is it still relevant for Christians today? Accused of sedition, beaten, arrested, almost assassinated, shipwrecked, attacked by a snake and placed under house arrest: Most would call this list an unfortunate run of bad luck. Paul would recognize it as just part of his job description. Imprisoned in Rome for two years under the watchful eyes of Roman soldiers, Paul was able to write four epistles (Ephesians, Philippians, Colossians and Philemon) and continue preaching "the kingdom of God and teaching the things which concern the Lord Jesus Christ" to all those who came to hear him (Acts 28:30-31). Living for two years with soldiers of the Roman army must have made an impression on Paul. Likely he saw the soldiers' armor enough to become well acquainted with it, learned to understand the function of each piece, what purpose it served and why it was important. At some point, a God-inspired analogy began to form in Paul's mind. Just as the Roman soldiers required physical armor to fight their wars, we Christians require spiritual armor to successfully fight ours. As the pieces fell into place, Paul saw that each piece of Roman armor had a powerful correlation with our own spiritual defenses. It is this analogy that the church in Ephesus received and which God has preserved for two thousand years for our benefit. What Do We Need Armor for, Anyway? "We are hard pressed on every side, yet not crushed; we are perplexed, but not in despair; persecuted, but not forsaken; struck down, but not destroyed" (2 Corinthians 4:8-9). How is it that, as Christians, we are expected to withstand incredible pressures and not be defeated? How can we possibly stand up against everything the world has to throw at us and still expect to emerge victorious? The answer lies not in ourselves, but in a divine and unbeatable defense: the armor of God. And take the helmet of salvation, and the sword of the Spirit, which is the word of God; praying always with all prayer and supplication in the Spirit, being watchful to this end with all perseverance and supplication for all the saints—and for me, that utterance may be given to me, that I may open my mouth boldly to make known the mystery of the gospel, for which I am an ambassador in chains; that in it I may speak boldly, as I ought to speak. The armor of God is an amazing metaphor for action we need to take in our spiritual lives. Paul sets the scene for us: We are fighting a war, and the stakes are higher than they have ever been in human history. Our enemy? Not flesh and blood, no human foe—we fight against a much more fearsome opponent whose forces are described in Ephesians 6:12. Our adversary, Satan the devil, and his host of demons have a single, driving purpose: Obliterate the children of God. Faced with the cares of this world, we can easily forget about the severity of this battle. But make no mistake: Our spiritual lives and future in God's Kingdom are on the line. If we lose this war, we lose everything. What can we do in the face of such overwhelming odds? Is there any hope? Paul has the answer. In Ephesians 6:13, he gives the call to arms. By putting on all of God's armor, which we will be exploring piece by piece in the following lessons, we can be assured of withstanding our enemy's onslaughts. 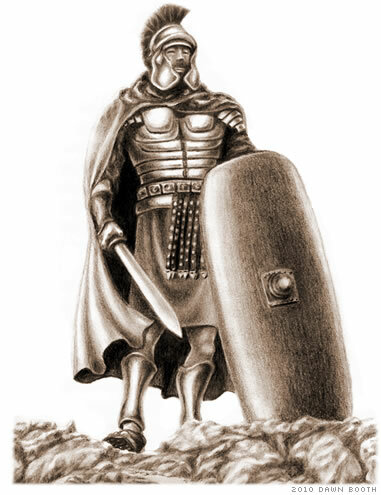 Are there any other references to this armor in the Bible? Yes! Though the passages may not explicitly call it the armor of God, there are sections of the Bible that further elaborate on the topic—even in the Old Testament! Isaiah 59:17 refers to two familiar pieces of armor—the helmet and the breastplate—and introduces two other pieces—the clothes of vengeance and cloak of zeal. We won't be looking at the clothes of vengeance, since they belong exclusively to God (Hebrews 10:30). The cloak of zeal, however, is an interesting study and one we'll be spending some time reviewing. Paul admonishes the Romans to put on both the "armor of light" and "the Lord Jesus Christ." This passage reveals both that wearing the armor of God is synonymous with having the character of God and that this armor cannot be worn if we are still wearing the "works of darkness"—a lifestyle of sin that separates us from God (Isaiah 59:1-2). In these passages Paul calls it the armor of righteousness and reveals its purpose. We put on the armor and strength of God to effectively wage war against our enemy, the devil. Without it, we are helpless—but with it, we are soldiers of the living God, and "more than conquerors through Him who loved us" (Romans 8:37). Before proceeding to the following lessons, take a minute to review Ephesians 6:10-20. Get a piece of paper and a pen and answer the following questions: What pieces of armor are listed? What spiritual qualities are they coupled with? What similarities do the armor and the qualities share for Paul to have linked them together? As you go through the rest of the lessons, compare your answers. Questions about this lesson? Feedback about this lesson? How can I resist the evil influences of Satan the devil?